We are connecting travelers with locals, through authentic food and experiences. 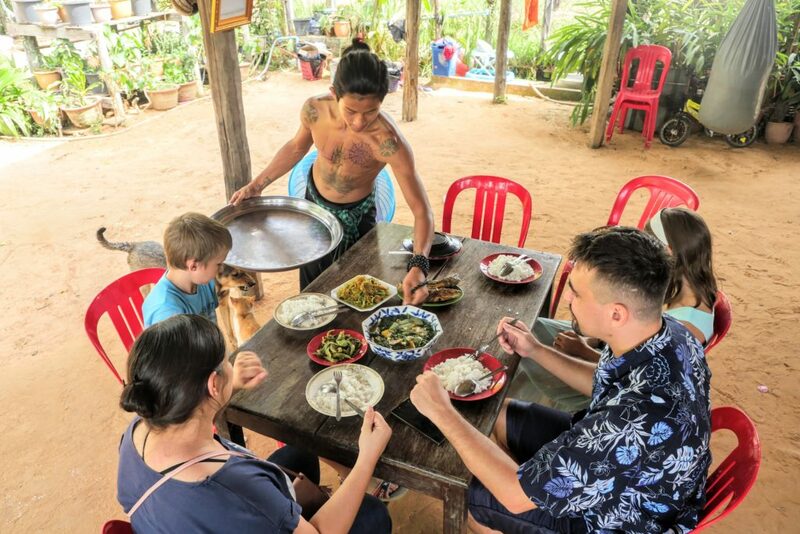 Hosts can present their food menu, the location and themself on our platform, and gusts can choose and book an unforgettable experience with locals off the beaten track. We have hosts in four cities in Cambodia so far, and more to come. If you don’t know where to eat in Siem Reap, we have a place. If you look for restaurants in Battambang – we have a host with organic vegetables. Interested in sustainable living? Visit Darin and Olivier on their farm in Banteay Meancheay. We even have an artist in Phnom Penh as a host. The price is fixed, 20 USD for adult and 10 USD for children under 10 years. Booking is best a day in advance and we try to confirm within three hours.